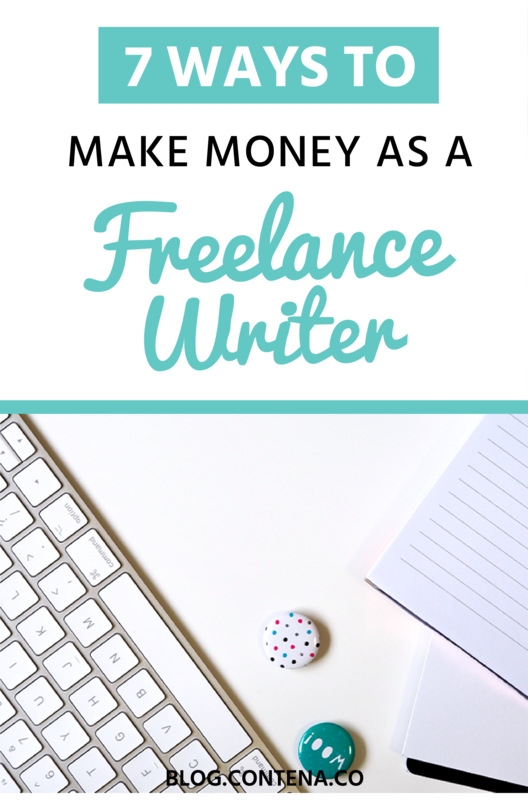 When I stepped into the world of freelance writing, my goal was… you guessed it–to make money as a freelance writer! For years, I had been writing for exposure (that means, “for free”) as a Mental Skills Coach, and then I started a blog in 2016 (This is also writing for free in the beginning!). Then, it dawned on me: I should try to get paid money for my writing. I was already working to monetize my blog, but it felt like the more efficient way to make money by writing would be to write for others. It took me a bit of time to realize that there were actually topics I could get paid to write about, and then it was a little while after that before I could confidently call myself a Freelance Writer. About 18 months into my journey as a freelancer, I work part-time as a freelance writer, making a few thousand dollars each month from writing and related projects. However, not all of that income is directly from being a “freelance writer.” Instead, my writing and blogging have led to various income streams which also helps me enjoy the work that I do. Yep- gotta start with the obvious! I’ve been hired for regular work by sites like Contena, the LPGA Women’s Network, and bayarea.com; I’ve also been hired for one-off projects like creating written content for a pregnancy app. Someone needs written content, and I’m the one hired to provide it. I love this type of work, especially when I get to build a relationship with the company or brand and can work with them on an ongoing basis. As a freelance writer, you might be hired to write blog posts, ebooks, newsletters, website content, and more. Being a decent writer doesn’t always mean you’ll make a good editor. However, I also have a teaching background and have given A LOT of feedback to students on their written work over the years. I also edited this Sport Psychology book, which made me realize that I could probably help others with their writing. I’ve learned there’s a difference between the editing I do (helping individuals with their ideas, flow, and overall messaging in their piece) and copyediting (which is hugely important, but is more about dotting i’s, crossing t’s). I’m strong at the former and recommend you find someone for the latter especially if you’re working on a big project or product. As a blogger, I’ve developed relationships with other bloggers; many of them create products like ecourses and ebooks. Through word of mouth, I usually end up with a paid project or two every month helping edit and enhance someone else’s writing. At first glance, this may not seem like a writing job, but it’s definitely freelance and can entail quite a bit of writing. If you’re not familiar with social media managers, an individual is hired to take over a brand or individual’s social media creation and posting, often with a focus on growing the brand’s following, upping engagement, and driving traffic to a blog/site and/or product. Often, the person being hired has specialized in a certain platform. For example, I can be hired to help you with Pinterest. I wouldn’t be worth your money for Facebook, probably not for Twitter, and definitely not for Snapchat. But, when it comes to Pinterest, I’ve learned a lot from having my own blog and using Pinterest successfully, so others have hired me to assist them to create and run their Pinterest plan. You might be wondering how guest blogging and freelance writing differ. Honestly, they’re not that different, but in this case, you’re writing specifically for a blog. Some sites don’t pay for guest contributors (but this is a great way to build up your portfolio when you’re starting out), but I’m talking about getting paid to be a contributor on a blog. These posts, in my experience, are more often “one-off” posts and not regular contributions. You’re likely promoted as a “guest blogger” rather than a writer for the blog and I’ve found that payment for these types of post varies from site to site. Some sites offer a flat fee for the post, rather than per word, and there are often very clear guidelines for content. You might also be paid based on the pageviews that your post gets. There are pros and cons to each model, but in both scenarios, you can get paid to write. Adding a couple of these each month helps create additional income. This just sounds cool, right? Basically, as a ghostwriter, you’re providing content but not getting credit for the writing. Sometimes, you’re hired by a company to write for their blog and the byline is someone else in the company. Not everyone likes this type of work, and some will charge more because they don’t get to claim the writing as their own. I have focused my ghostwriting for a particular niche: photographers. This is a group of professionals who often have (or want to have) a blog, but don’t necessarily have the time or the expertise to write the blog posts themselves. I’m not a photographer, but I am a long-time fan! I might write the posts that go along with photo sessions the photographer has done but I also write how-to articles like “How to choose great outfits for your family photos,” and I’ve even written articles that will be published in national magazines under the photographer’s name. I love that ghostwriting allows me to write outside of my usual topics and that I can help other creative people who may not have the knack for writing. Sometimes when I write, I want to share resources, programs, or courses that I love. For example, I wrote this post on my site about freelance writing resources. In it, I include some great freebies, and also talk about paid products I love, like Contena. If someone were to join one of my recommendations for a paid product through those links, I get compensated. Some people make A TON of money through affiliate sales. Though I’m not one of them, I do make some income through a handful of affiliates, and love that this is fairly passive income. Even if you don’t have a blog, if there’s a company, resource, or service you love, check and see if they have an affiliate program. Then, share about them organically (with your affiliate link) on your social media accounts, or in Facebook groups (if that’s okay with the admins). I’ve learned that as a writer, you don’t always know what your jobs will look like for the upcoming month. This can be both challenging and exciting. Several times this year I’ve found myself with paying work that I didn’t expect, that wasn’t “traditional freelance writing,” and that I’ve been really excited about! For example, I’m a contributor to two sites (I write for free), but both sites have ended up paying me for other work. One hired me for the Pinterest Manager position I mentioned above, and the other hired me to assist with an online conference connected with the blog. In the second case, I reached out to the editor and the owner of the site and mentioned that I was interested in any additional work they might have, or might hear about. They did need additional help and I was hired to create listening guides for the conference. Then, when their web developer had a family emergency, they asked if I could take on another project. Thank goodness for my WordPress knowledge developed through blogging. If you had asked me six months ago, I wouldn’t have predicted these opportunities would come my way. A final point about these two random jobs: I had an existing relationship with both parties that hired me. I had done work for free (which may not work for you, but it’s still worth considering), but I had already shown my worth and dedication to the brands. I also put myself out there and asked if there were other (paid) opportunities available. Don’t be scared to ask for opportunities or inform your contact that you enjoy working with them and are available for other roles that may become available. You never know where your writing (paid or free) may take you. There you have it- seven different ways I make money as a freelance writer. These jobs utilize my writing skills and abilities in different ways and help to create my monthly income. In the world of freelance writing, when there are ups and downs with workflow, it’s important to think outside the box as a freelance writer!